I’m glad there’s someone out there who understands my approach to writing. 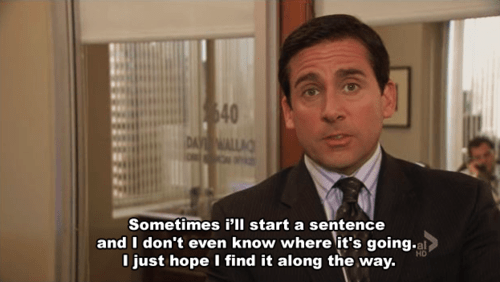 I’ve spent the past two months rewatching “The Office,” mostly because I felt guilty for losing track of it a few years ago. It was the first non-children’s show I ever watched, so I felt a nostalgic obligation to finish. I’m in Season 9 right now (for those who haven’t watched: it’s a welcome relief from the slog of Seasons 7 and 8), so I decided to make it a Sips & Spoilers entry before I was finished. Here’s to you, Dunder Mifflin. A quick summary: The financially-challenged Dunder Mifflin Inc., Paper Company represents everything American business should (but really shouldn’t) be. No branch personifies this more than Scranton, Pa. Manager Michael Scott and his band of neurotic employees are constantly up to childish shenanigans, all while running the company’s only viable branch. Maybe Michael’s “World’s Best Boss” mug has some ironic merit? The entirety of the show is on Netflix, so get watching if you haven’t already. 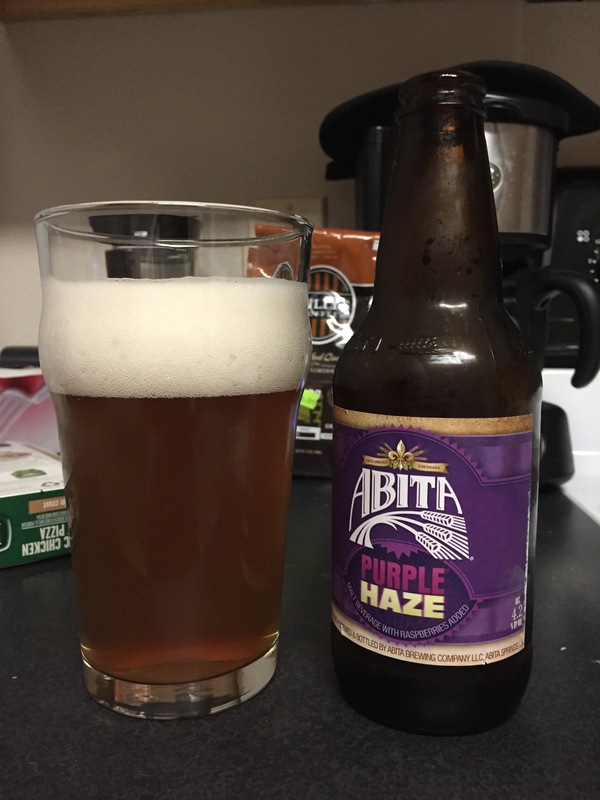 I tried a few beers for this edition of S&S and settled on Abita Purple Haze. This was my first fruit beer and I enjoyed it…for the most part. The smell isn’t reflective of the taste and, to be honest, is a bit off-putting. I would’ve been happier with a smaller head as well. However, it’s a light, bubbly beer that would be great for people who aren’t too into heavier brews. The raspberry flavor is refreshing and really comes out in the aftertaste. On Untappd, I gave it a 3.5 (out of 5), as I was generally happy with it and felt it was a nice fruit beer to open up my palette a bit. However, time changes both “The Office” and Purple Haze. First, for the beer: good beers tend to slightly change in flavor as they warm, but it never takes away from the overall tone of the drink. Purple Haze, on the other hand, is best drunk cold and only cold. As it warms, it gets a sharper, less flavorful feel. It doesn’t take away from the original taste, but it was a little surprising. “The Office” also becomes less enjoyable over time, particularly after Season 7’s major turn of events (no spoilers here.) Season 8 is easily the worst in “The Office” canon. So when you get to the end of Purple Haze and “The Office”, it’s best to consume them quickly and with not much concern for quality. Overall, the pairing works well, but it doesn’t quite give credence to how excellent “The Office” was in its heyday. Purple Haze is good, but never matches “The Office” in their respective high points. Hey, at least I tried, right? Like I said last time, I’m fairly new to craft beer. Thanks for reading, y’all. Join me next week as I tackle my favorite comedy of all time.